THREE BARNS: A treasured historic landmark, spectacular chestnut post and beam architecture, two mezzanine balconies, oak bar, chandelier, central heat & air-conditioning. The carriage house and antique corn crib make this the perfect setting for a memorable country wedding ceremony and reception. ROMANTIC FARMHOUSE: Included in your wedding package, this exceptional historic home is a memorable landmark that possesses old world elegance and rustic farmhouse charm. Features a great room with expansive mountain views, including a well appointed bridal suite. 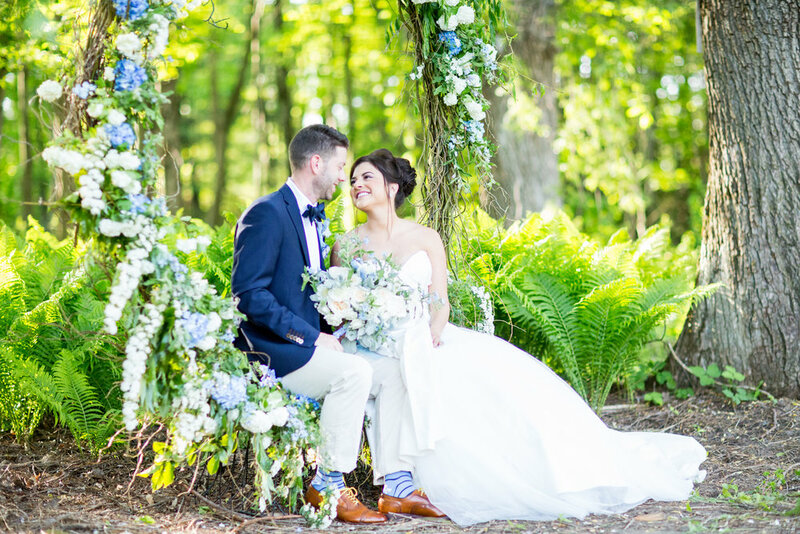 BEAUTIFUL GARDENS: Perennial flowers, spring fed pond and manicured lawns sprawl across 6 private acres, making a picturesque backdrop for your wedding ceremony. Gardens, apple and maple trees surround the house and barns. Private swimming pool & bathhouse in the backyard.